Lot 104. 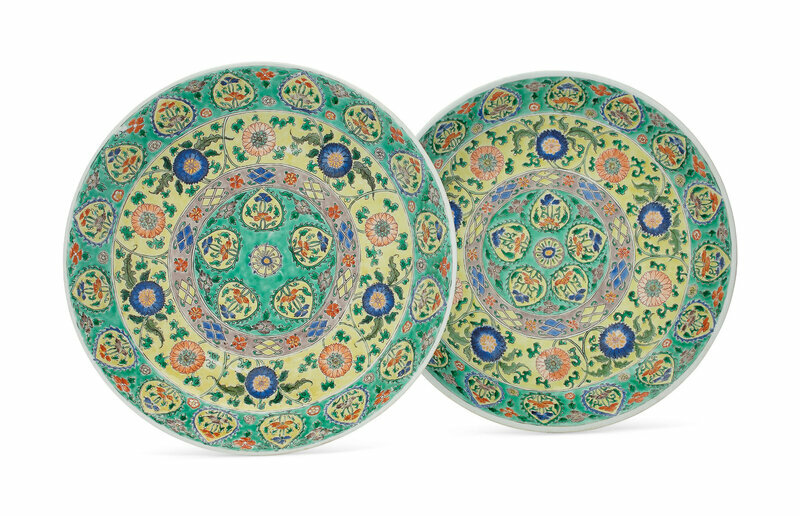 A pair of large famille verte dishes for the Persian market, Kangxi period (1662-1722); 14 ½ in. (36.8 cm.) diameter. Estimate USD 10,000 - USD 15,000. Price realised USD 37,500. © Christie's Images Ltd 2019. 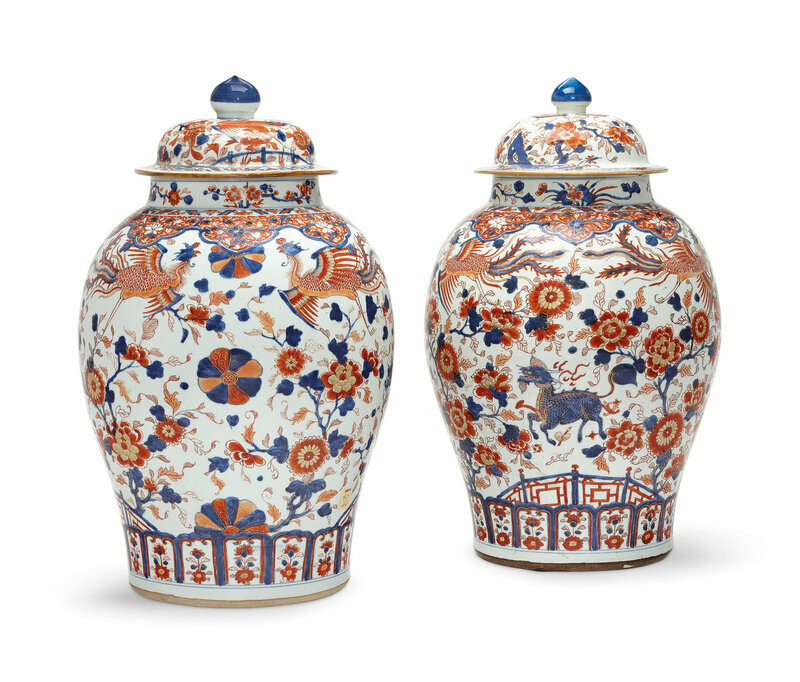 Each enameled with palmette petals filled with flowering plants on the green ground center, within trailing chrysanthemum vine on a yellow ground, the outer border with further palmette-shaped cartouches on a green ground, the reverse with underglaze bluelingzhi within double circle. St. Louis Art Museum, Missouri. 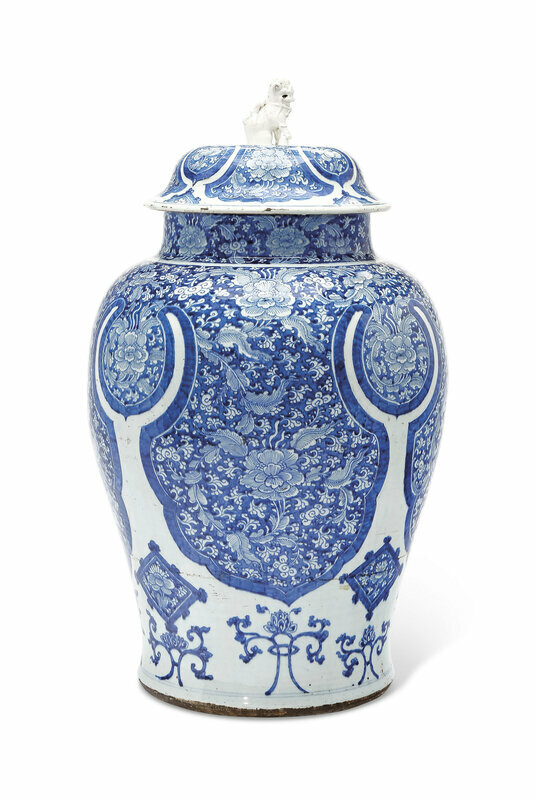 Literature: William R. Sargent, Chinese Porcelain in the Conde Collection, Madrid, 2014, p. 222, no. 79.